Order Before 12pm PST and select rush service. Wear your new glasses tomorrow. Order Before 12pm PST and select rush service to get your Progressive and Multi-Focal glasses in 3 days. We will refund your shipping costs If for any reason your glasses did not ship on time. Please note that Overnight Glasses cannot refund rush services charges for weather and other mother nature reasons. Your Next Day Rush order get the same exact lenses we use for normal orders. Getting glasses fast does not mean we will ever sacrifice the quality of your lenses. I ordered prescription glasses online for my 12 year old. I needed them quickly as the one my child was wearing broke. It broke within months of purchasing from a physical store. I got the glasses from Overnight Glasses the next day and my child loved it. The lens power, fit, quality and comfort were just perfect. I'm impressed how they are able to run this business online as I imagined this to be difficult without a physical store. I'm hooked and will be buying from them again in future. Needed my prescription glasses next day and Overnight Glasses delivered. Thanks! I was going on a trip and needed prescription sunglasses quickly. Every place I tried quoted me 10 business days. I found OG on the internet and thought why not. I was cautioned that sunglasses could take longer than 1 day...well they didn't and I got them the very next day. Quality seems good. My 6 year old daughter just got glasses, and lost them at the beach one day. We were just about to go on a vacation and she cannot see without her glasses at all. Her doctor was going to take 2 weeks to fill the prescription and I was afraid she would miss out on a lot during our last vacation of the summer. I found overnight glasses online, and had never ordered glasses before, so I needed help placing my first order. Customer service was quick and very helpful in their support. They walked me through the entire order while I was online and did it with an awesome attitude. The glasses arrived the next day, as promised! Worth every penny for my daughter to enjoy herself because she can see! It's not often that a business that professes to provide overnight service at a reasonable cost actually delivers. Well, Overnight Glasses out-performed my expectations. I was heading out on vacation and needed a new pair of sunglasses delivered to our VRBO. Great selection of frames, easy ordering, and when I arrived at my rental the next day, the box was sitting on the front step. Excellent communication throughout and the product was exactly as I expected...and with the right prescription. Fantastic! My glasses were stolen and I needed them for finals, bought a pair here and had them the NEXT day!!!!!!!!!! Perfect fit and tons of compliments. What is included in rush service? Usually, UPS will charge over $65 for Next Day Air Shipping. Overnight Glasses will carry the difference and will ship your order Next Day Air for a fixed price of only $59. When we receive your Next Day Rush Order, we assign a personal optician and a production expert to make sure your customized prescription glasses ship the same day. Orders must be placed before 12pm PST for same day delivery and must include our Rush Service. Rush Service is available only on business days, Monday-Friday. Orders placed on Friday ship the same day for Saturday Delivery at no extra charge. 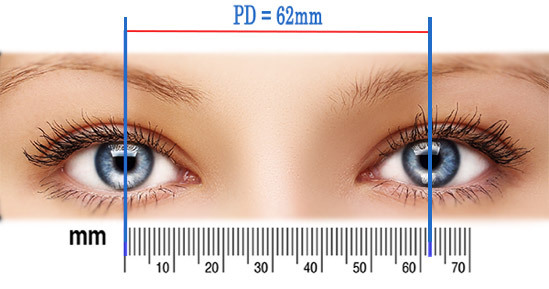 Please make sure that frame measurements and prescription are correct. Rush service is not refundable for wrong prescription input and frames that ordered with a wrong size. Overnight Glasses will refund any rush service and orders that ordered correctly but shipped wrong.